Kathy Kenney has been practicing yoga for over 20 years. She has studied for many years under the teachings of River Cummings and is certified as an Advanced Viniyoga Instructor at the 500 hr level. Through Asana (postures), Pranyama (breath techniques) and Meditation (inner reflection), her unique classes focus on bringing attention and awareness to the breath as it connects to the movement of the spine. Her classes are perfect for any (body) at any age and can be adapted to the individual and their special conditions. 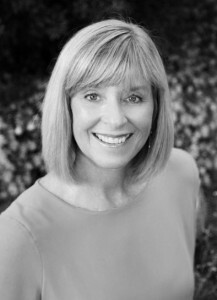 Kathy combines her yoga skills with her knowledge of restorative nutrition. She is passionate about helping those who are looking for more energy, mental clarity and focus or those who perhaps want less stress and or joint pain in their lives. By implementing appropriate yoga techniques and being aware of optimal nutrition she believes students can live with more vitality at any age! When she is not teaching yoga Kathy is working for a Health and Wellness company called Univera, traveling, spending time with her husband and grown kids, and running her dog Gracie!